From left, the panelists were cinematographers Robert Muratore, Edd Lukas, Graham Willoughby and moderator Jay Holben. At the Canon Creative Studio in Park City, working cinematographers discussed the creative optics choices they made for recent documentary projects that screened at the Sundance Film Festival. During the Sundance Film Festival, the Canon Creative Studio on Main Street was the location of a discussion series in collaboration with American Cinematographer, designed to present conversations with filmmakers sharing insight on real-world issues in relation to their respective work. AC’s Jay Holben moderated a number of these events, one of which was a spotlight on optics, featuring cinematographers Graham Willoughby, Edd Lukas and Robert Muratore. All three filmmakers had new projects screening at the festival and spoke candidly in this lively group discussion. American Cinematographer: Welcome everyone to the Canon Creative Studio and the American Cinematographer creative conversations with filmmakers series. Today the discussion is “Shining a Light on Lenses.” My name is Jay Holben and I’ll be your host. 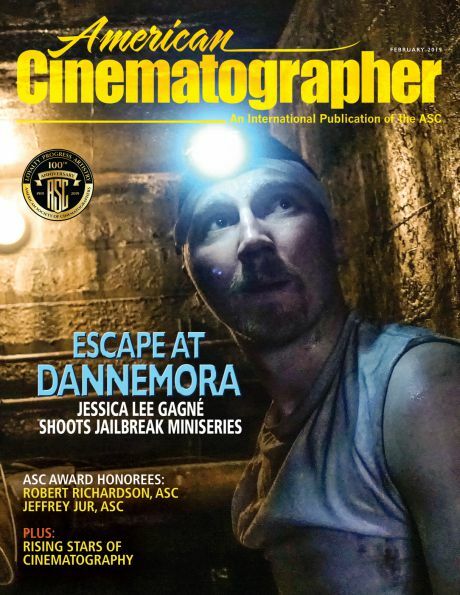 I’m a contributing editor for American Cinematographer magazine, an associate member of the ASC and the co-chair of the ASC Motion Imaging Technology Council’s Lens Committee. Today. We’ve got three cinematographers with us and we’re going to have a fun conversation about glass. I’m going to let you guys introduce yourselves and what project you have here at Sundance. Graham Willhouby: My name is Graham Willoughby, I’m a cinematographer based out of Brooklyn, New York. I’m here with the documentary called Toni Morrison, The Pieces I Am. Edd Lukas: My name is Edd Lucas. I’m a British DP based in LA. I’m here with the documentary David Crosby, Remember My Name. Robert Muratore: Hi. My name is Robert Muratore. I’m a DP based in Denver, Colorado. The film that I have at the festival this year is Memory: The Origins of Alien. So all three of you have documentaries in the festival. One of the first questions that gets asked when talking about documentaries is the choice between primes or zooms. So let’s try to address that a little bit in what you were shooting with on these particular projects. RM: I tend to prefer to use primes, mainly because I come from more of a narrative background and I love the control you get with primes and the minimizing of the amount of glass that you’re shooting through. Especially for interviews, primes, from me, or are the way to go. There are many different kinds of documentaries. Primes aren’t quite as useful in situations that are more cinema vérité where you’re observing a subjects over a period of time and you have to quickly adjust. Although I’d been in that situation before with primes and just made it work. [On Memory] we did have a dramatic sequence at the beginning that was a little bit more narrative-oriented and primes were perfect for that. That’s just my go-to, unless I’m sort of forced into a place where I just have to have a zoom to make it work. So if you’re shooting interviews on primes, are you doing multiple cameras? RM: Yeah, we always had two-camera interviews, sometimes three. The go-to lenses are usually 50mm and 85mm. If we have a three-camera set up, we’ll maybe set up a wide shot on a slider, like a 35mm or 24mm. And is there like a side-by-side situation to get two frames or like a profile and a straight shot? RM: I mean, it differs from project to project, but we usually have a medium shot and the side angle. For me, I love having a really shallow depth of field and I’ll just open the lens wide and let it go. As long as I’m not seeing any aberrations, I prefer that. I love the soft look of a shallow depth of field and I think it’s flattering and has a sort of an otherworldly feel to it. And what was the, the lens package that you were using on Memory? RM: I have a set of a Canon Cine primes [CN-E]. I love those lenses because they’re geared for cinema purposes. They’re all the same diameter, the accessories work with every lens, which makes it very convenient. I can pop a lens on and off a camera without adjusting my follow focus. It just fits right into the gear. So it’s a great set of lenses. EL: When I’m shooting narrative I’ll usually always shoot primes. I prefer to work with a fixed focal length and move the camera to where I want it to adjust to the shot that I want, their framing that I want. I don’t tend to use a lot of viewfinders. I generally know where I want the camera to be and the lens that I want and just how far it needs to be the characters. On documentaries I find that I always go towards zooms because, based on my history on documentaries, I tend to shoot characters and subject matter where you just don’t know what they’re going to do. David Crosby was exactly that. I mean, the guy is a crazy, amazing and fascinating artist. You can set up a shot by a window and he’ll know that that’s exactly where you want him. We’ve talked about what’s in the background and what books he wants to see in the deepest depths of total out of focus. And then he walks in and sits over by the table on the other wide of the room and starts playing the guitar and you just have to switch gears and do something different. So, I like having the zooms and also I feel like you can react much quicker to questions. If the person asking the questions decides to change it up, sees something that they want to follow, you know, it’s very easy for them to throw in a question which you weren’t expecting. I don’t want to be sitting out there on a medium when suddenly you say, “Hey, what’s your views on death?” and if the talent to starts to go there, I like to be able to push in and get a nice tight shot and have that flexibility. So that you generally use servo-style zooms? EL: On this we didn’t. I tend to lean more toward cine zooms. I like having the control over them. Servos — I just feel like another thing to get in the way, honestly. I do like being able to do nice slow pull backs and push ins and all that stuff, but depending on the feeling and the vibe that you’re going for, I also like being able to crash zoom and I like the feel of the lens in my hand to just kind of react to the scene. I feel like I react a little bit smoother. What was your lens choice on Crosby? EL: Crosby was a mixture. I came on a bit late and they had already shot a couple of interviews on a Red camera with Canon K-35s. When I came on they were drifting away from that and the two cameras that they had available to them at the time were the Sony F7 and F55. We ended up with the F55 as the A camera and I used the [Canon] 17-120mm just because I wanted the range. The B-cam, I think we had a Fujinon 19-90mm on it. GW: It depends on the project. I’ve shot a couple of things recently where they were dictating primes and where they dictating and zooms. It’s really fun to have a 25mm prime lens handheld to cover a vérité scene. The feeling that you get from that 25mm lens is a visceral presence, if you get the camera in the right relationship to the talent. So if you have a 25mm lens and I’m covering this room from here, it’s the most boring shot in the world. But if I’m covering you smoking a pipe with a 25mm lens here [very close to talent], it’s like you as a viewer, are so much more viscerally connected. But that feeling is just something that is so exciting to me. You can deliver that with a 25mm lens, just right up close and personal, but you have to have the camera in the right relationship with the talent. With the prime, as you say, you’re stuck in this one world. And a perfect example of when a prime was a terrible example was when I was on a show and the director was operating one of the cameras. He had an 85mm prime on and he was interviewing the subject from across the room. And the guy was saying, “Oh, this is really important and this really matters to me...” And then he starts to cry and obviously, you want to be able to get close. The director waited until the guy took a breath and... [Willoughby picks up his chair and physically moves it five feet forward and sits back down miming a camera on his shoulder. ]...the director literally just did that and the poor guy was like, “Um... ok... I guess I’m being filmed now...” I mean, it was the worst. It was so gross! It was just the wrong lens for that environment. Or say, for example, you’re shooting in a car with six people, which happened to me recently, and how do you cover six people in a car unless you just doing some kind of like Fred Flintstone wide. I mean it was just the dumbest shot ever. So you have to have a zoom so that you can choose your shots and follow the action. So I think it just depends on the job and what your job needs and what your characters are going to dictate. It’s obviously more fun from a DP’s perspective to get jazzy with primes and open them up and see all the flares, but you know in documentary that the lens is just one of the variables in a long equation. You have to factor in what your relationship with the director is going to be and what you need to give you the ability to create and capture. You bring up an interesting point there that it’s a little off the topic of lenses, but within the vérité style documentary to get that close to somebody with a camera, you have to already have a relationship with them where they’re comfortable with it, right? Or are you just kind of breaking the ice by putting the camera in their face to begin with? GW: I think I’m unusual in my understanding of the camera and its relationship to the talent. I don’t think I’ve ever found a scenario where that equation is something that is as powerful as people deem it, mostly in fearful anticipation. Meaning, the directors are always going to say, “Your camera is too big. You can’t wear an Easy Rig; it’s too much stuff. It’s too big. It’s too heavy looking!” They want you to have a [Canon EOS] C300 with a little stills lens on it and they think that is going to be the difference in whether or not somebody shares their life with us. Never mind the guy or gal with the boom pole... There is this equation that they think defines the relationship to the talent and that’s manageable on a smaller scale. The truth is that I don’t find a significant difference if I’m on a 25mm lens within six inches of somebody’s face, I don’t feel like they’re performing any different for me. You need to establish trust and you need to be a reasonable human being and you need to make them feel comfortable, but that that relationship is something that’s unique to each talent or character. It’s your job as a documentary DP to be able to get that camera in whatever build and heaviness and size and whatever you need it to be in whatever distance you need it to be from that person. But we’re in a world where we’re taking selfies; people are used to having cameras around. People want to tell their stories. But I can count on one hand the times that people have said it’s too much. And, yeah, if somebody is about to tell you a really sensitive story, you’re going to back off and zoom in and just let them have some personal space. EL: People really do start to forget the cameras. A lot of [directors and producers] say, “You have to shoot this on a DSLR; you can’t have a sound guy; you can’t have the boom out there...” I mean, I’ve done a ton of reality and a bunch of documentaries and I’m not a small person. I’m six four and I don’t hide in corners very well, but, it’s amazing how quickly people — they don’t necessarily forget that you’re there, but if you don’t interact with them, if you don’t make jokes between setups, if you don’t try to be their best friend — people phase you out pretty quickly. I pretty much always wear a hat when I’m on set because, I don’t like the lights in my eyes and I often shoot with heavy backlight. But also I found when I’m doing documentaries, the hat helps a lot because you can pull it right down over your face, look down into the camera and suddenly you don’t have that connection with that person in front of you. So they don’t feel like there’s a person there. They just see a shape, and all of a sudden people start opening up. So would you agree with Graham’s concept of the wide lens close to the talent? EL: I think it depends on what you’re going for and the feeling that you want. I think that you shouldn’t be afraid to go ahead and establish that right from the beginning. I think if you just want that because it looks cool, that’s not a good plan. If you know your talent is obviously needing more personal space, then you’ve probably made the wrong decision and you might need to back off. But I feel like, like you were saying, you have to read your talent and feel out the talent. Different people have different levels of personal space and the ability to ignore things like that. GW: There was another shoot that I did where we followed these people around for months. We had a completely different approach, which was we were on a 120mm lens, the 17-120mm on the long end of the lens 50 feet away from them with a foreground element of a street pole. It was totally different because we wanted it to feel like we were a peekaboo into their world. It all just depends on the job and what you’re trying to say. EL: When AJ [Eaton], the director of the Crosby doc, and I first started talking we talked a lot about shooting anamorphic. We wanted something really textured and earthy feeling. This documentary was about the music and the heart and soul of this character who’s been around for decades. Then the more that we kind into it, you know, financially it wasn’t really an option. Technically I think we could have made it work, but you know, when you’re shooting for months at a time and sometimes these shoots come up like, literally, “Hey, this afternoon he’s getting off a plane, let’s go get this stuff.” Unless you own a set of anamorphics, you’re probably not going to get them back again when you need them. RM: I pretty much agree with, with everything Graham and Edd have said. I’ll say anytime you put a camera in a room with a person, that is going to change the dynamic, but people get very quickly acclimated to it and they just often forget it’s there or become comfortable enough to let you do your thing. I’ve been in situations where I’ve been on a prime lens following people around and just trying to work the angles and make a good shot. I find that to be enjoyable because it’s challenging. But it’s not particularly practical compared to having a zoom lens. On the subject of anamorphic — we had talked about going anamorphic on Memory, but we ended up going with a crop to 2.39:1. Alien was shot anamorphic in 2.39:1, but we couldn’t afford to get the lenses and the equipment we needed to actually shoot anamorphic. Especially with the Kowas, yeah. EL: Yeah — big soft spot in the top and middle. So that leads to what you were doing there, Robert, which was shooting spherically and then cropping to the 2.39 aspect ratio later, and it’s a lot safer. RM: It’s safer. It’s not what I would choose to do otherwise. I mean I’ve shot with anamorphics on commercials and PSAs even. The quality of the light and the flare is completely different. I grew up watching movies shot in anamorphic, most movies in the 1980s that were sort of blockbuster or even horror films... Some of my favorites were anamorphic. So that’s what draws me into that world. I’m happy when I can talk somebody into shooting that way, but I have yet to be able to talk somebody into shooting anamorphic on a documentary. GW: I mean, that’s part of probably what this panel is about too. It’s a really thrilling time right now where you can shoot at a huge diversity of glass and you can make a choice. Our producers are saying we want this to be... What’s the word? “Cinematic,” right? Everyone wants it to be “cinematic.” But they don’t have the budget for it! It’s always compromises. But, at the same time, the bar is higher and higher for all these documentaries. So how is your documentary going to stand out? If [the choice of glass] suits the project and it gives that “narrative” look, it gives a voice that matters to that story. I mean, it’s so exciting. It’s just so much cool stuff out there that you can shoot with. There’s really no reason you can’t just put your thumbprint on it. EL: For a documentary, you’re not likely to get a second chance to get the material, so I don’t think I put as much relevance on the equipment as I do when I’m shooting narrative. [On narrative,] I’m a lot more like, ‘okay, this is the look that I want. This is how I’m gonna to do it.’ With documentary stuff, I tend to be a little more like, ‘okay, this is what you have available to us...’ Because you tend not to have the time or the money; you’re shooting for months on end so you’ve got to kind of roll with it. 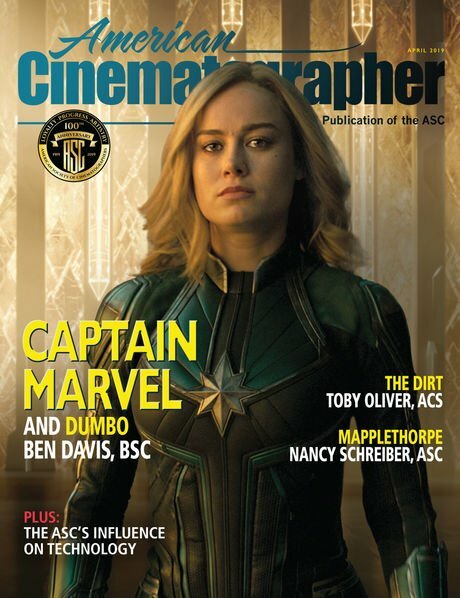 Well, you dropped the C-word, which is “cinematic.” Whether you’re shooting talking-head interviews or B-roll or vérité style, that is a heavy demand being placed on cinematographers. Is there something you can say about what glass you’re looking for or how to define the cinematic look for each of you? GW: I think documentaries lives in this world between aspiration and logistical reality. You might say you want to shoot with Cooke or Kowa anamorphics, but that is a terrible idea for a documentary that is going to shoot two days a month and you don’t know when it’s going to happen. The producers are going to pull their hair out trying to source a set of Kowa or Cooke anamorphics two days before you’re going to shoot. So you, you live in this place of practical application of your aspiration. Cinematic for me is a language where you’re creating a visual vocabulary that has a thumbprint on it that is aesthetically declarative. You’re using depth with focal range, you’re using depth with color, with light; you’re using camera placement and movement to help tell the story. You’re putting the camera on the level of the action. So, if somebody is writing a letter, you’re not tilting down to the letter, you’re on that level watching that thing, and then you go back up to their face and you’re involved in that scene. You’re putting the camera and the lens in the place where it needs to be for that story. The camera is an intimate character in that scene. So that would be the abstract way of saying it, you put the camera in the right spot and use the tools that you have to create the greatest declared a visual value in that moment. So it’s less about the mechanics of capturing the action and more about addressing the emotion of the action? GW: Well, those are different questions. I mean, you’re asking what’s the cinematic thing, right? So like there’s the cinematic thing and then there’s the story of thing. If I’m like Matt Porwoll, who was on this panel last year with me, and I’m embedded with the cartel capturing action of people cooking meth or something, and I’ve only got [vehicle] headlights to light them in the middle of a field, that can be very cinematic! Because he’s probably just trying to find whatever frame he can, but he’s using the tools that he’s got right there. He’s using the headlights of the car to create dynamic lighting in an intense scene. The characters are crazy intense. The drama is happening. He’s playing off of the moments in that, in that environment. But because of the character of that scene, he’s finding that cinematic moment. 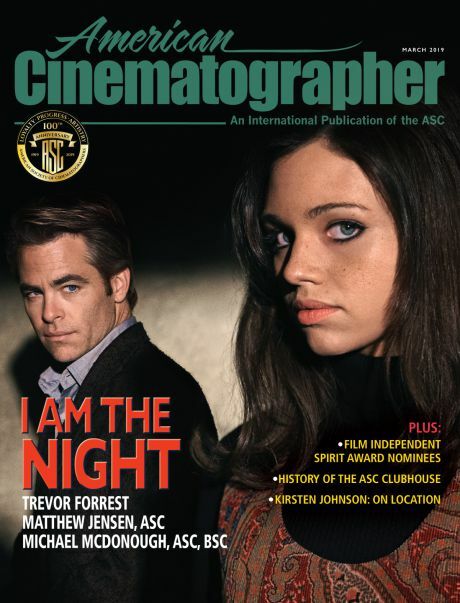 It’s a very tough question, but it is something that’s demanded on cinematographers on a constant basis. EL: I kind of feel like a documentary gives you the ability to really do what cinema does best, which is to follow the emotion; follow what’s in front of you. You don’t know what’s going to happen. On a documentary you don’t have that ability to go back and do it again. If someone just fiddling with something, maybe you can get a cutaway later and just shoot their hands, but if somebody starts to pour their emotion out you’re going to want to push in on the zoom or you’re going to do something to help the audience feel the emotion. That gives you the ability to be cinematic, you know? To tell a story with pictures. Don’t be afraid to short fame if it feels right or to give them a ton of headroom if it feels right. You can control the lighting sometimes a little bit, depending on the nature of the documentary. If it’s more sit down interviews, then as you got a lot more control. You put a person against a window or do something that’s interesting. Like you don’t have to just shoot people flat against the wall. RM: The only thing I would add to this, which is more of a summary really, is that being cinematic is more about the choices we make as individuals than it is about the equipment we’re using. It’s taking what you have to work with and doing something creative or creating an aesthetic, whether it’s a narrative or B-roll or vérité, you’re still making decisions on how the subjects should be framed and where you’re going to put the camera that affects the scene emotionally and connects you to that subject on an emotional level. Of course, as a DP, I love having a reliable set of equipment that I can count on and that will give me more options, but in the end it’s really about just these aesthetic choices were making on the spot. So let’s stick with the topic of documentaries. When you’re approaching a project, what is the hierarchy of lens choice for you? Do you start with speed or weight or focal length range or look? How do you choose what you’re going to use on the project? And is it just what’s available and what’s in the budget? RM: Well, of course there’s budget. I have not worked on a documentary yet that affords me the ability to get to choose what I want to work with as far as equipment, but every project is different, especially documentaries. If it’s vérité, of course you’re looking at zoom options. For me I like having super speed options; lenses that will give me the ability to shoot in dark places. The cameras are becoming a lot more light sensitive, which is helping out that whole process, but there’s a lot of documentary work where you shooting at night or in low light situations. In certain situations, a zoom lens if needed. EL: For me I start with the look first and then start to think about technical aspects, second. I mean I might say, ‘I want to shoot this on Kowas... And I’m going to do this, this, and this.’ And then I realize that it’s going to be shot over one weekend every six months and you’re never going to get a set of Kowas that match. You’re never gonna be able to afford them for the whole shoot. So that’s never going to work. But it’s like, okay, this is the look that I want, how can I keep [on a budget an schedule]? And then obviously money is the next thing. There’s no point in looking at stuff that’s amazing that you can ever afford. Then there are the technical aspects and I feel like they are linked to the money to a certain point. I’d love somebody to come up with a lens that gives you absolutely everything and gives you anything that you want, but it’s never going to happen. We definitely can’t afford that. So, Graham and I spoke before the panel and we talked about a set of lenses that you own and you called them your “Can you just” lenses, which I thought was amazing. By definition, this was a set of lenses that you had for when people start asking you, “Can you just do this?” Can we just go get this?” And I think that’s amazing. Do you guys have your own stash of “Can you just” lenses? RM: Yeah. I mean, I own lenses. I have a set of Zeiss [ZE] primes, their DSLR lenses, and they’re great. I still pop one out every now and then. And then I have a set of Canon Cine primes and those are my go-to ones. I’ll always try to make them work in low-budget situations if I can. Those lenses, for me, are very versatile and every now and then I just supplement it with a Zeiss lens depending on the project. Audience Member: What are the biggest misconceptions that producers have regarding lenses? Are there ongoing arguments or discussions that you find yourself repeatedly drawn into in order for them to understand what you need in order to do your job? RM: I would say some producers just don’t understand the cost of good lenses. If you want to achieve a certain look, especially if they’re throwing out anamorphic, they don’t oftentimes understand how much you have to invest in budget for those. Ultimately they try to get you to do it for less money or with different lenses. There’s not a great technical understanding usually, but certain lenses just cost what they cost and that’s what it is. It’s hard to work around that and it’s hard to own lenses that are $30,000 a piece. GW: I would say that probably the biggest thing for me is that “doability” factor of what a lens can do for you. I think every producer is living the fantasy that we just all shoot with C300s and 24-70mm lenses on them. Like it’s just simple and “gettable” everywhere. You know, it’s not easy to do a cinematic experience with a digital lens that has internal motors and all that stuff. Again, it’s back to that distinction between we want it to be cinematic, but we don’t have the time or the budget or the resources to invest in the ways that we need to invest. EL: Drives. Hard drives and data. The things that people massively underestimate are how much data you’re going to shoot. You know, like I’ve literally had producers say “Do not cut the camera. Just press record at the beginning of the day and just cut it at the end.” And two hours later they came back and said, “Cut, cut the camera...”They suddenly realize what it means to dump data from three constantly running cameras and that they were going to spend more on hard drives than the entire camera package for three weeks! It was insane. Audience Member: Do you get a warm fuzzy feeling when you “got the shot,” or is it something that you realize later you got something special? EL: I feel like you feel that the minute you know that emotion is leaving that person’s body who you’re shooting. In that moment you’re not really thinking, “Oh wow, this is THAT moment,” but you feel a connection with somebody and in the right place at the right time you catch that tear that falls and those birds that take off in the background you know that you’re in the right place at the right time. GW: There’s moments when you just know and it’s really gratifying. I think there’s times in post where [moments are made]. I was filming a woman walking her dogs and so I’m filming and I let her leave the frame and then I run ahead and I get a shot of her coming towards the lens. Then I run ahead and I get one of a profile of her. Then the editors just had a total love fest with all of the moments where I ditch the camera so that I can run ahead 50 feet. So all the stuff that they used was these moments where the camera is going crazy and then lands on a shot. Things I would never imagine anyone would use, but it’s became the vocabulary the piece. So that’s an example of a moment where I felt like I was getting it and then the editors were showing me totally different ways to tell the audience the story that I had no idea I was capturing. I get it! Unfortunately we’re out of time, so on behalf of American Cinematographer and the Canon Creative Studios, thank you to all the panelists, Robert, Edd and Graham for joining us.